The Global Handset Proximity Sensor Market Report 2019 is a professional and in-depth study on the current state of the Handset Proximity Sensor market. The report provides a basic overview of the industry including definitions, classifications, and industry chain structure. The Handset Proximity Sensor market analysis is provided for the international markets including development trends, competitive landscape analysis, and key regions development status. Development policies and plans are discussed as well as manufacturing processes and cost structures are also analyzed. This report also states import/export consumption, supply and demand, price, revenue and gross margins. The report focuses on global major leading industry players providing information such as company profiles, product picture and specification, shipments, price, revenue and contact information. The Handset Proximity Sensor industry development trends are analyzed. On the basis of product type, this report displays the shipments, revenue ( Million USD), price, market share and growth rate of each type. On the basis on the end users/applications, this report focuses on the status and outlook for major applications/end users, shipments, revenue(Million USD), price , market share and growth rate for each application.  On the basis on Manufacturer, this report focuses on the status and outlook for major Manufacturer, shipments, revenue (Million USD), price , Gross Margin, market share, growth rate, product and facilities information for main Manufacturer. We can offer customization in the report without any extra charges and get research data or trends added in the report.